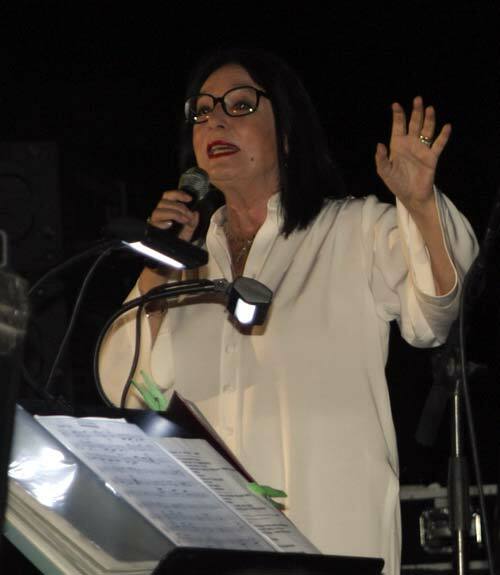 The farewell concert last night from Nana Mouskouri was very good, bearing in mind that Nana was born on the 13th of October 1934 in Hania and today is 73 years old. She sang very well and we enjoyed the concert tremendously in spite of the fact that twice the generator broke down and everything was plunged into darkness. Nana and her band took up a few acoustic instruments and kept on singing though. Once the generator was fixed, a woman collapsed in the crowd and was stretchered out. But still the music kept on coming, many of the old favourites – in greek, of course. When Nana was young and learning to sing it was found that she had one vocal chord thicker than the other, it made it harder to learn but it still gives her voice that wonderful distinctiveness. She has had a long stage life, been a UNICEF ambassador as well and sang for Luxembourg in the Eurovision song contest many years ago in 1963. But Nana is still a greek and her parents – Dad was a cinema projectionist and Mum an usherette, managed to get her noticed and into the famous Conservatoire where she learned classical music and to sing opera. 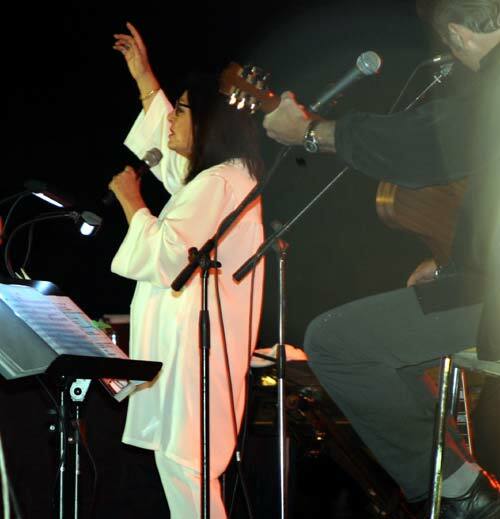 Later she teamed up with the famous greek writer and musician, Manos Hadjidakis who wrote many of her songs. 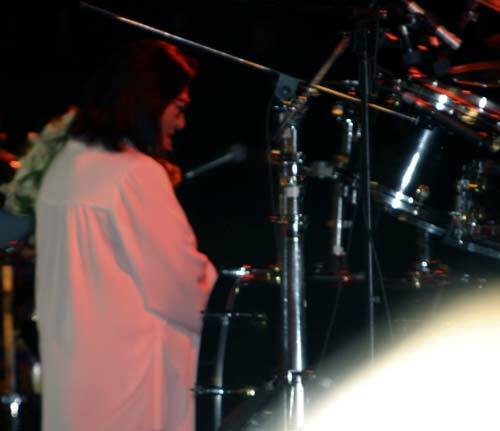 For me, I will always remember the ‘White Rose of Athens’ and now she was given a huge bunch of white flowers and last night in Hania she said goodbye to the town of her birth and walked away to tremendous applause.